Never had fish dumplings before, and I thought I knew all about Chinese food! I’m thinking they probably taste like shrimp dumplings, the kind you get from roast duck noodle place, you know, like Sam Woo. Hmm, those are my favorite! With the noodle soup. You’re making me hungry! The taste is not as strong as the shrimp ones, and softer. Sam Woo is a good restaurant. Worth a try if you like fish. I would like some dumplings now, too. The fish dumplings sound interesting. I love Jajangmyeon! Will try to stop by this place the next time I’m in Torrance. They are both very good. Do try. Never heard of fish dumplings before but that sounds delicious! Sometimes it’s the little run-down places that produce awesome food. More money to go into the product than decorations. If you like fish, you would like it, it is mild tasting. Thanks to your post, I just bookmarked this place on Yelp. I really want to try their Jajangmyeon, you made it sound so good! 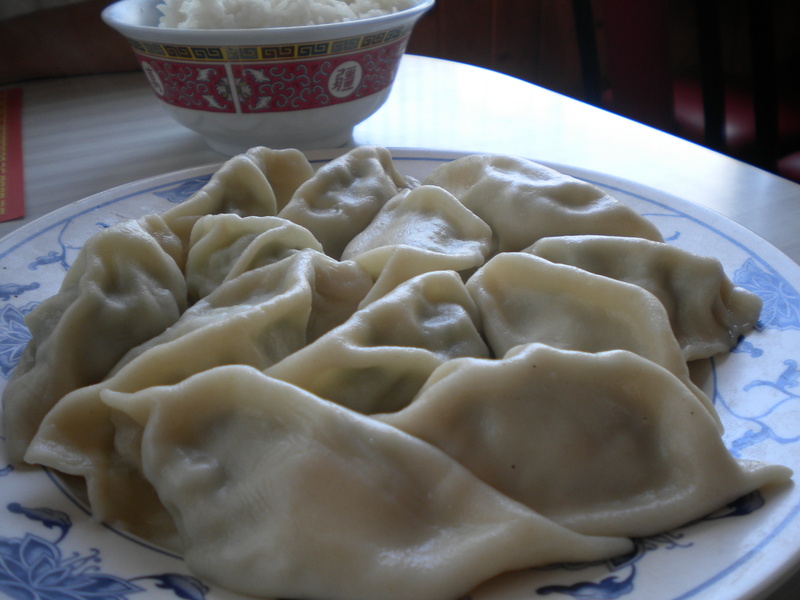 The place looks a bit old, but the noodles and the dumplings are good.